â€œThe storyâ€™s main protagonist is Sierra Starfall, a female Flash Gordon/Tarzan type character whoâ€™s hotwired with Dragon DNA and over 100 years old, despite not looking a day over 25. Sierra is legendary and considered by many to be the Galaxyâ€™s Greatest Warrior. She is the commander of a fiercely loyal rogues gallery of Alien Mercs, who have survived and vanquished many perils. This time they wonâ€™t,” said Randy Queen. The introductory storyline chronicles the last mission of Starfallâ€™s valiant crew. â€œIt will be a study on how the dynamics of a team book become the dynamics of a solo book as the pirates meet their collective fates on this savage planet. And they do not go quietly into that good night!â€ expressed Queen. 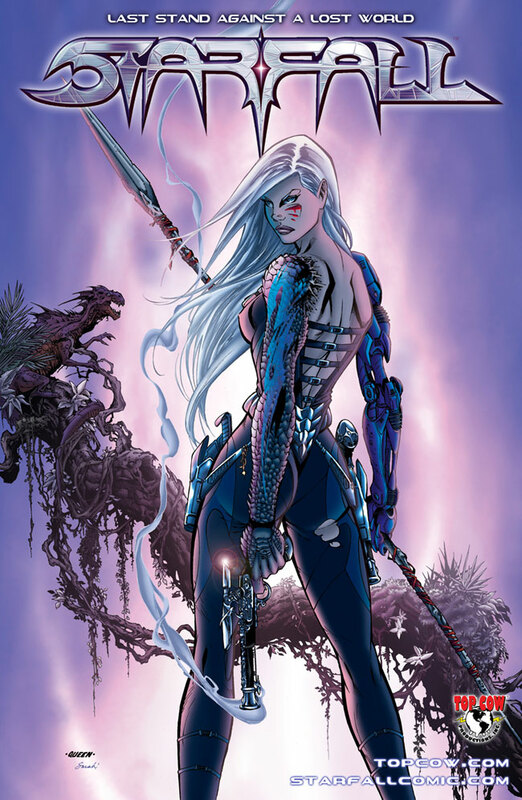 While Top Cow is announcing this new series now, the series will not be solicited until the first story arc is complete, which makes sense and ensures the company can release the issues on time. Next Article BEHOLD! I GIVE YOU VENOM!